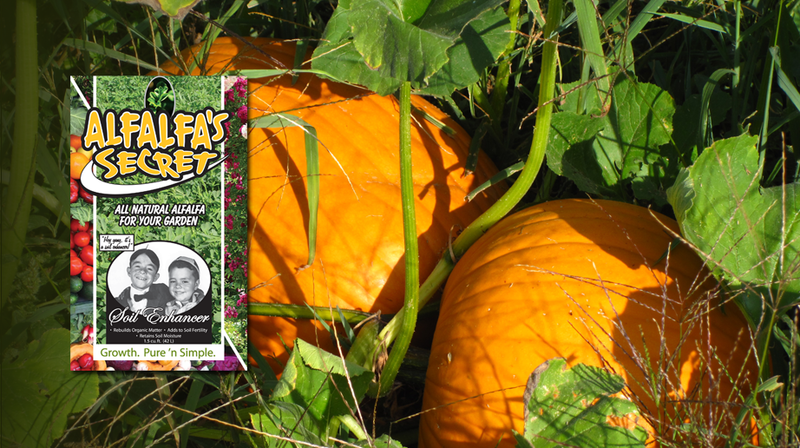 Alfalfa's Secret is an all natural mulch and soil amendment safe for use in your flower garden, vegetable garden or fruit patch. 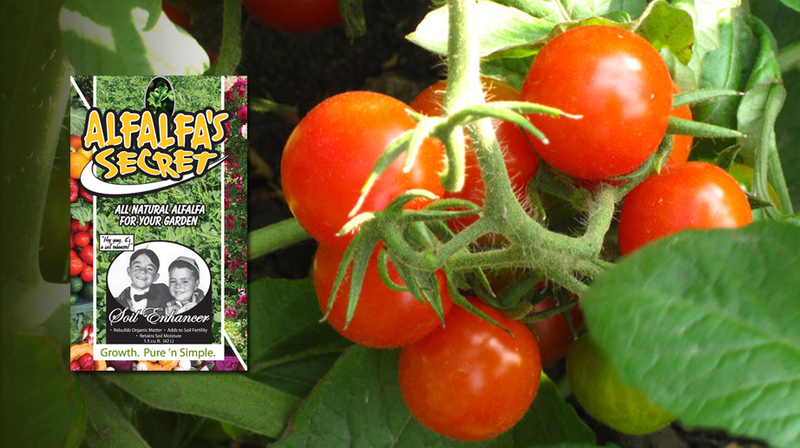 Alfalfa's Secret is safe for kids and pets and doesn't require pesticides. Alfalfa's Secret is made entirely from non-GMO alfalfa! 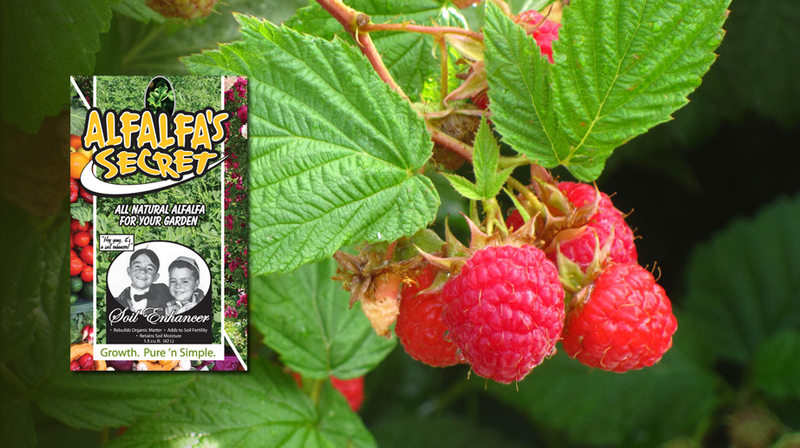 If you are a gardener that has been looking for that missing piece of the puzzle and have been dreaming of beautiful blooming flowers, zinging and zesty veggies and plump, juicy berries then look no further. Nature has the answer and Alfalfa is the secret. Alfalfa's Secret to be exact! 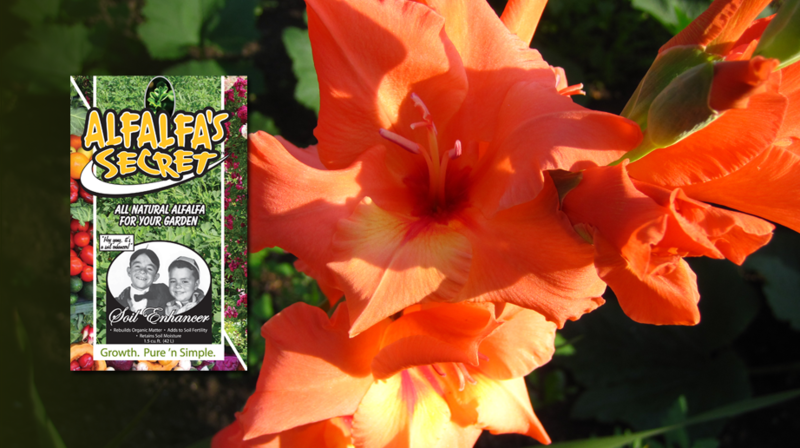 See what Alfalfa’s Secret can do for your Garden! Have pictures of your Alfalfa’s Secret Garden? Send them to us for display in our galleries!